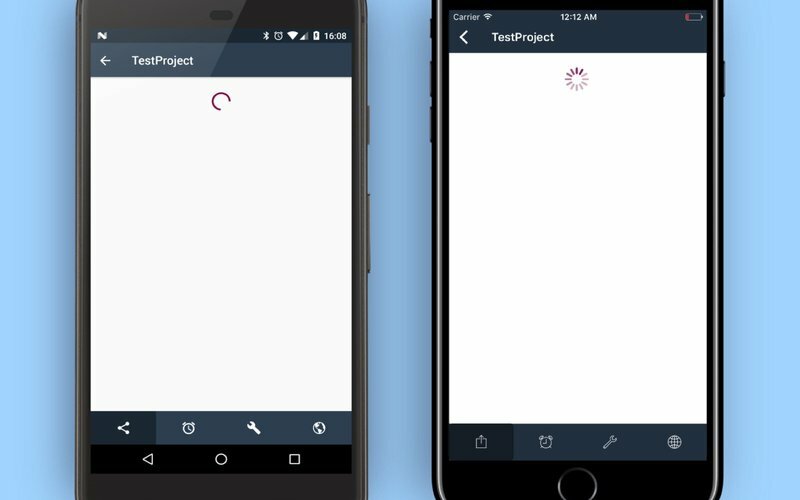 React Native has become quite popular among mobile developers recently, so I just couldn’t resist the urge to get acquainted with this framework to keep pace with the newest trends in mobile app development. The structure of a newly generated project is pretty straightforward: it contains your Android and iOS projects, which can be opened via their usual IDEs – Android Studio and XCode – if needed. But while it’s possible to develop platform-specific parts of an application, the primary logic of the application will be located outside of the distinct Android and iOS projects. 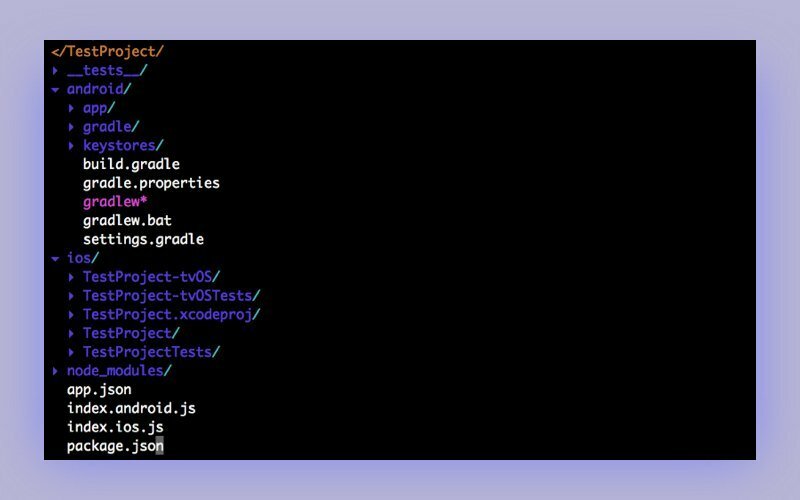 The node_modules directory contains all of the included dependencies. index.android.js is the entry point for the Android app, while index.ios.js serves the same purpose for the iOS app. I might go for Atom, a beautiful, lightweight, and easily customizable text editor with a nice autocomplete and convenient file system browsing. Of course, it hardly compares to Android Studio in a number of features, but it’s worth giving it a chance. In the example above, the code is the same for Android and iOS, but it’s a common case to have separate files for more difficult screens, which may be slightly different for each platform. My example proves that one development team can work with two different platforms using the same approach. As you can see, the screen above looks native on both Android and iOS, and it actually is! I’ve used the nativebase.io library for this purpose, which makes creating the UI even easier. The code above is written in JSX; its tags have tag names, attributes, and children just like the ones in XML. That wasn’t so complicated, was it? The most important thing for me was to find out if I could reuse libraries I’ve already written in Java or Kotlin. It would be a pity if they were useless for apps developed in React Native. Luckily for me (and for the whole community of mobile developers), it’s possible to use them as native modules. Java and Kotlin libraries can be used to implement any platform-specific functionality in a project. Below, as promised, I’ll check if I can use the native features of the Android platform. Let’s imagine that you need to open a camera preview, for example, without any existing solutions (for some reason) – and write this functionality in Kotlin. The first step is to create a module to implement the required functionality – to open the camera in our case. Here, you can use Android Studio to edit the Android part of the project. 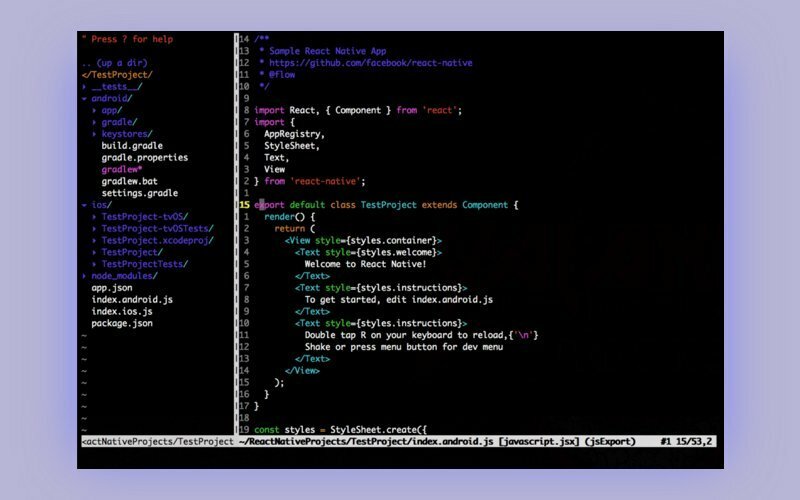 I’ve created CameraModule, which extends ReactContextBaseJavaModuleclass in order to make it acceptable for our React Native project. After that, you need to create a descendant of the ReactPackage interface to add the CameraModule to. Now we’re only interested in the createNativeModules() function. Here, I return a list that contains the required module. The only thing left is to add this package to the list of packages in the MainApplication class (no need to create it, it already exists in androidpackage). After we’ve done the previous step, let’s import the created module to the index.android.js file and actually display the camera. override fun getName() = "CameraModule"
onActivityResult()and onNewIntent() are the only functions of the interface. You can find all available libraries here. Well, that’s it for today, but it’s definitely not the end. I’ll continue experimenting with React Native and, of course, I’ll try to keep you updated on my findings.